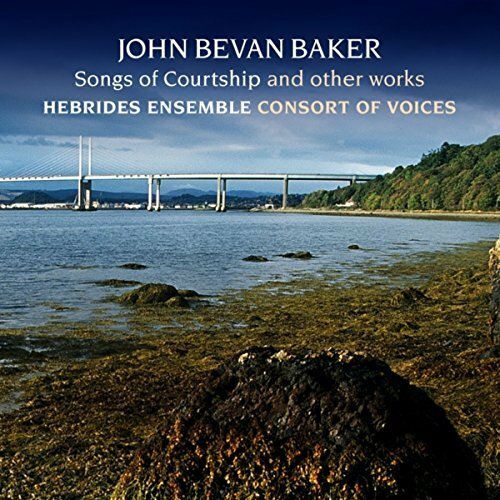 Songs of Courtship were set to music by Bevan Baker in 1992 for the Black Isle Singers. The poems, written by Mao Shih in the 7th century BC, were translated from the Ancient Chinese in 1946 by Arthur Waley. John loved them and maintained that they had ‘a simple directness which could have been written Yesterday’. The courtship songs, richly imaginative, vary greatly in metre and in their treatment of the enigmatic oriental lyrics, some being lightfooted, some more robust, always rhythmically challenging. The ‘Wedding Song’ is a triumphant, rejoicing finale. This disc affords the listener a unique opportunity to explore fascinating and uncharted waters of twentieth-century British music. The majority of works date from the 1980s and early 90s, and were written during the time the composer spent in Fortrose, on the Black Isle in northern Scotland.